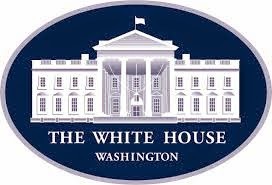 The National Geothermal Data System (NGDS) was selected to be part of the 2014 Energy Datapalooza Innovation Showcase, hosted by the White House, the US Department of Energy, and the General Services Administration. The Energy Datapalooza highlights private-sector innovators harnessing the power of data to build the clean energy economy. NGDS was created and deployed in response to the Obama Administration’s Open Data Policy and the industry demand for better scientific data about the subsurface. Populated with geothermal-relevant data from all 50 states, NGDS has the potential to fundamentally change America’s energy portfolio by driving efficient exploration for clean, renewable energy from Earth’s interior. State geological surveys, academic institutions, and the private sector from throughout the country contribute to NGDS by digitizing and making available online more than 30 major types of data resulting in the availability of over 34,000 geologic maps, reports, and documents, and more than 9 million interoperable data points. Already, NGDS’s publicly accessible, free data is providing tangible value to the industry. For example, Schlumberger, a global industry leader serving the oil & gas sectors, was able to make better drilling decisions because of raw temperature data supplied to NGDS. Additionally, through NGDS data, Big D Engineering discovered a basin of geothermal brine under much of Hidalgo County, Texas, and is now exploring the feasibility of turning non-potable, brackish geopressured-geothermal water into clean drinking water. "By leveraging freely available government data and tools, entrepreneurs and innovators are helping to build the clean energy economy," said Todd Park, U.S. Chief Technology Officer and Assistant to the President. "Innovations like those featured today at the Energy Datapalooza can help Americans conserve energy, save money, and advance a safer and cleaner future." NGDS is powered by U.S. Geoscience Information Network (USGIN), a web-based, data integration framework in which users maintain their data in a distributed system. USGIN and NGDS strive to enable data interoperability, which allows data to be accessed and read in multiple formats significantly reducing the time it takes to retrieve and analyze data. The system infrastructure utilizes free and open source software whenever possible and hosts a suite of custom analytical and visualization tools. Find out more about the National Geothermal Data System at http://geothermaldata.org and the US Geoscience Information Network at http://usgin.org. NGDS and USGIN promote distributed data sharing and data interoperability through a series of open source and/or community adopted standards and protocols. Information on how to implement a similar system is available at http://usgin.org.